The primary responsibility for protecting the human rights of all persons in their territory lies with the governments of Greece and Hungary, and with their societies. However, U.S. leadership on human rights means prioritizing these pressing challenges to human rights. Adopt a policy to reverse Hungary’s backsliding on democracy and to advance the rule of law, independent democratic institutions, human rights protections, and greater transparency. This policy should be an integral part of the U.S. strategy to reinforce the Transatlantic Alliance in the face of Russian action in Ukraine and the growing electoral strength of antisemitic, racist, pro-Russian parties in E.U. states. In his September speech to the United Nations General Assembly, refute Prime Minister Viktor Orban’s notion that “illiberal” nations are better off economically and articulate the dangers that authoritarian regimes pose to peace, prosperity and fundamental freedoms. Call Prime Minister Antonis Samaras to: a) express support for his efforts to prosecute Golden Dawn leaders for operating a criminal organization and to purge the police forces of their accomplices; b) underscore the need for a credible prosecution of Golden Dawn that meets the highest European judicial standards and is not tainted by claims of political motivation; and c) offer assistance from U.S. law enforcement agencies to mount a credible prosecution and investigate Golden Dawn’s financial dealings, including outside Greece, and strengthen Greek law enforcement and judicial systems to combat hate violence, corruption, and abuse. 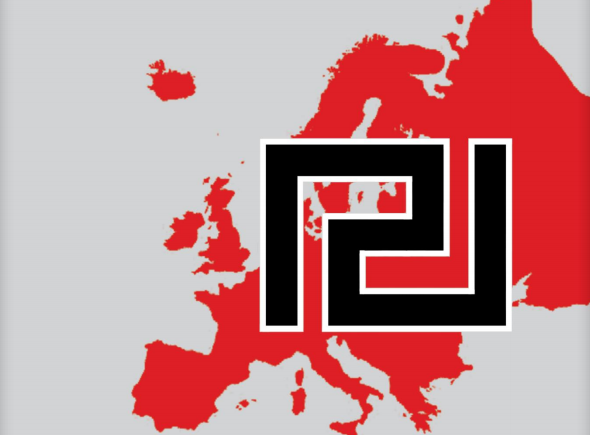 Greece’s Golden Dawn and Hungary’s Jobbik represent the bloody tip of the farright spear in Europe. In the May elections for the 751-member European Parliament, voters from at least 14 of the European Union’s 28 countries elected representatives from far-right parties that espouse values that undermine human rights. In all, they won 59 seats. The leaders of these 14 parties express a wide range of political views, from finely nuanced bigotry to misogyny to adoration of fascist heroes of World War II. At least eight of them are pro-Russian. All have expressed either antisemitic, xenophobic, racist, homophobic, anti-Muslim, or anti-Roma sentiments. Golden Dawn is by far the most violent and has directly threatened the Greek state. Jobbik has been the most successful in advancing authoritarian and discriminatory policies, and it has sponsored paramilitary activity. Both have had enormous impacts on their societies. Golden Dawn is a purely Nazi party, led by a man who was imprisoned for the attempted bombing of a movie theater and has for three decades associated with Nazi collaborators who ruled Greece from 1964- 74 during the “Regime of the Colonels.” Jobbik officials have described Roma as animals and insects, and told Jews to start looking for a place to hide. Leaders of both parties have used their position in their national parliaments to deny the Holocaust and rehash ancient canards against Jews. The hatred these two parties promote has inspired waves of violence against minorities—including, in the case of Golden Dawn, murders. On the geopolitical level, the rise of neofascist parties poses a challenge to the United States, and not only because Americans are horrified by the specter of barbarism within the European Union. At least eight of the 14 far-right parties have adopted a pro-Russian stance. Given rising tensions with Russia over Ukraine, the Transatlantic Alliance is more important than ever. Greece and Hungary are strategic NATO allies, but Golden Dawn and Jobbik want to pull out of the E.U. and NATO. Both see Russia, not the E.U. or the United States, as their natural ally. The situation is not Europe in 1936, but neither are these parties the mere political fringe of the neo-Nazi skinhead movement. The European elections were a wake-up call, or should have been. The United States needs a strategy to defend human rights and the rule of law inside its old friends and democratic allies in Europe.